Partners not participating in the painting classes will receive a £400.00 discount. Transport from Pisa Airport on 19th May will collect at 12.30. The holiday includes entrance to the Hotel Spa each day. Any treatments required must be booked in advance of the holiday with Sheila. "Absolutely superb. Our tutor,Fiona Graham-Mackay, was brilliant: intelligent, warm, and empathetic. She has the gift of enabling students to give the very best of themselves, and to push their boundaries. "Fiona was brilliant as usual, encouraging and thoughtful, very aware of our individual needs". 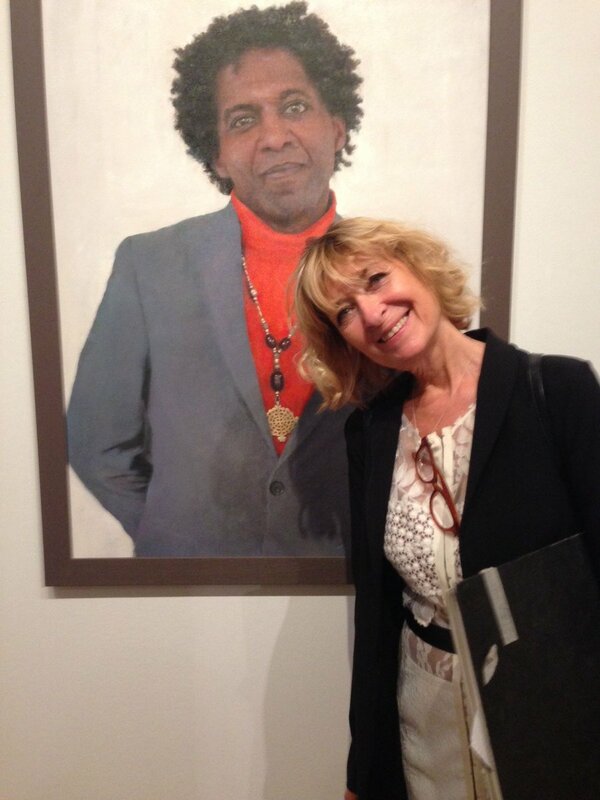 Fiona Graham-Mackay is one of "Britain's foremost portrait painters" says the Daily Telegraph. She is one of just 50 painters selected from more than 80 countries for the 2016, 2017 and 2018 BP National Portrait Gallery Summer Exhibition. 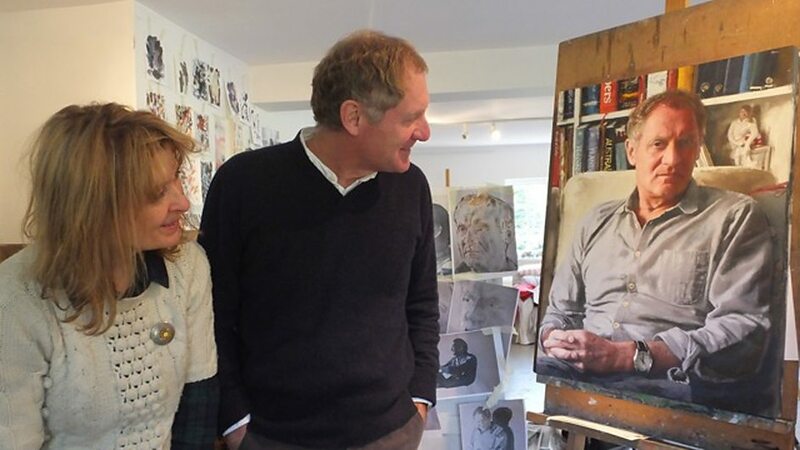 In 2016 BBC Radio 4 made a unique series of programmes with Fiona - painting a portrait of former Poet Laureate Andrew Motion. 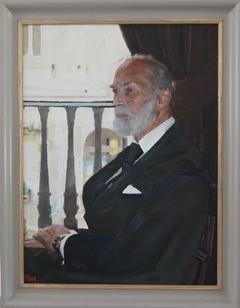 It was called "A Portrait of ...." . 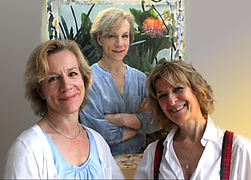 The programme was a great success and so in 2017 the BBC commission Fiona to do another series of programmes painting Juliet Stevenson, the actor; Danny De Niese, the opera singer; and Ed Watson, principal ballet dancer for the Royal Ballet. We have rented a large studio space in Hotel Celide for this art vacation which will act as our Studio for the week. 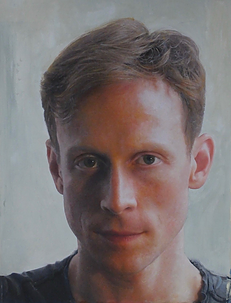 On this Portrait Workshop lessons will take place every morning followed by lunch. There will be a fully clothed model to paint every morning. The studio is open to continue painting in the afternoon if guests wish or they can explore the beautiful town of Lucca. Florence can be reached very easily from Lucca. Why not tag on one of art workshop in Florence after or before the holiday. We will be picking guests up from Pisa Airport. 19.00 Meet for a glass of Prosecco and an introduction to the week in the bar of the hotel. This is a free day for guests to perhaps visit Florence, Pisa or the seaside resort of Viareggio by train. The train station is a 10 minute walk from the hotel. 19.00 Meet for drinks and an end of week painting exhibition.